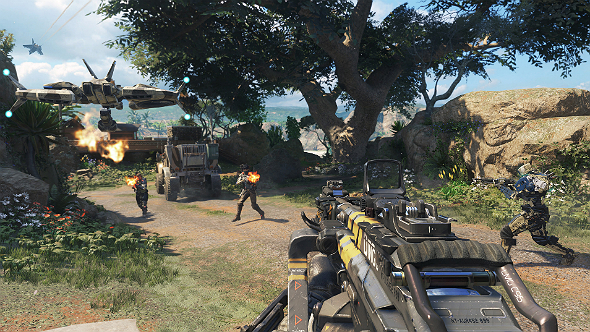 The PC edition of Call of Duty: Black Ops 4 is getting some extra attention, an Activision Blizzard executive said during the company’s first quarter earnings call for 2018. Here’s our list of the best FPS games available on PC. Coddy Johnson, Activision Blizzard’s president and chief operating officer, took several investor questions at the end of the call, including one from Evan Wingren of KeyBanc Capital Markets, Inc.
“How do you anticipate this edition of Black Ops will differ from historical Call of Duty games that you guys have released?” Wingren asked. Johnson said that over the eight years that Treyarch has been making Black Ops games, they’ve seen some 200 million players log billions of hours of gameplay, which gives Treyarch a ton of data to work with when designing new titles. Johnson also said Treyarch is paying special attention to the PC edition of Black Ops 4. Johnson said they’ll have more details to share during the Black Ops 4 global reveal event, scheduled for May 17.